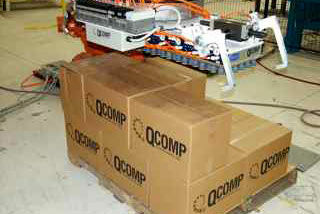 QComp came up with a solution for palletizing hard to handle products by developing several styles of grippers capable of picking up and palletizing most products. 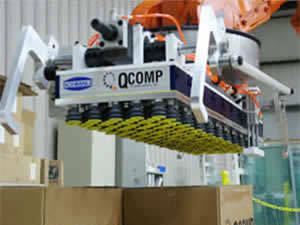 These innovative palletizing grippers were specially designed for products that can not be picked up from the top with only vacuum and irregularly shaped products. 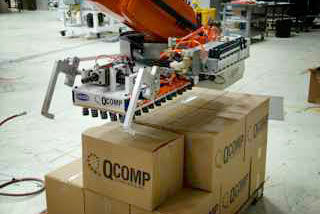 Mechanical clamping gripper with vacuum assist for picking open top cases. 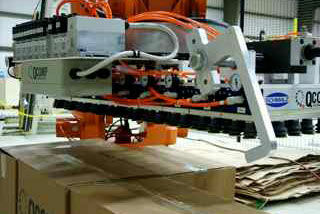 Mechanical clamshell style gripper for picking bags. 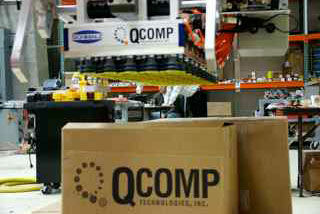 Mechanical bottom support gripper with stripper plate for open top cases or bundled product. 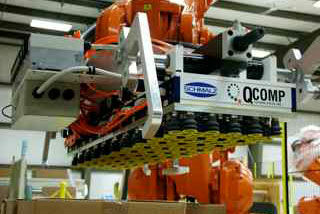 Unigripper design allows the use of vacuum to picking irregularly shaped products.